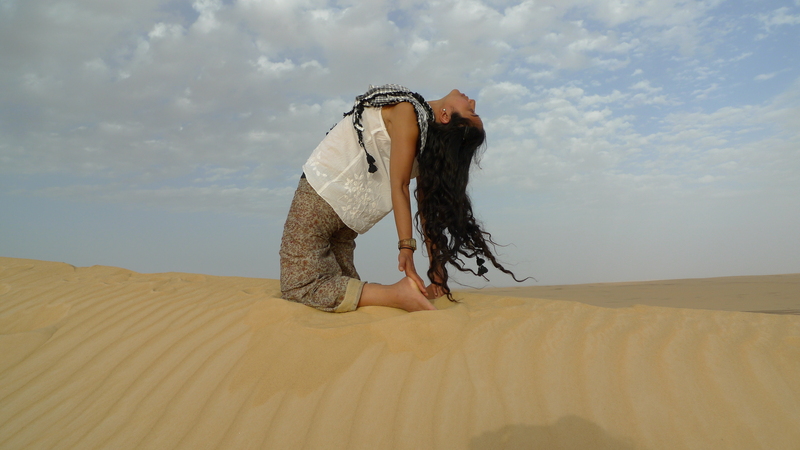 Ushtrasana, Camel Posture in the sand dunes of the White Desert last April 2014. More are in the pipeline. Will post info as soon as. If you would like to join or would like more information, email at kaz.castillo@gmail.com. This entry was posted in Classes & Offerings and tagged Ashtanga, Ashtanga in Aswan, Ashtanga Yoga, Cairo, Egypt, Freedom Travellers, Iman Elsherbiny, Nun Center, One Love Yoga, Yoga Retreat by sisterhoodofthetravelingmala. Bookmark the permalink.